Basketball season is several weeks away but a Mansfield Senior High Lady Tyger already is drawing attention far from home. Junior Jayjahnae Feagin was among standout players invited to participate in the 2018 NEO Showcase Sept. 9 at Jackson High School in Massillon. 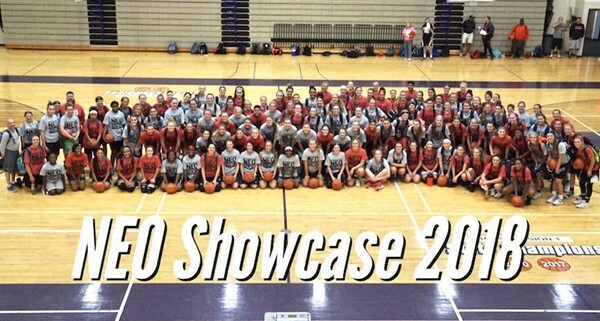 Basketball coaches and scouts from nearly 50 colleges were on hand to assess the skills of 139 sophomore, junior and senior girls who have not committed to where they will play after high school. First-year girls varsity coach J.R. Wilson had high praise for Feagin, who began the day with weightlifting and jumping tests. After skill instruction work, Feagin and the other players participated in two scrimmage games. Feagin’s performance was no fluke. Feagin, a Mansfield City Schools student since kindergarten, was on the varsity as a sophomore. Wilson is counting on her for an expanded role this season. “In my opinion Jay is a born leader and will help our Lady Tygers in this upcoming season,” said Wilson, a varsity coach at other sites for seven years. “I am most definitely looking for her leadership. For her part, Feagin, whose favorite classroom subject is history, expressed confidence in her new coach and said she is ready to help lead the team. Wilson, a paraprofessional at Sherman Elementary School, said Feagin’s skills and attitude reflect the reason he applied for the varsity coaching job.